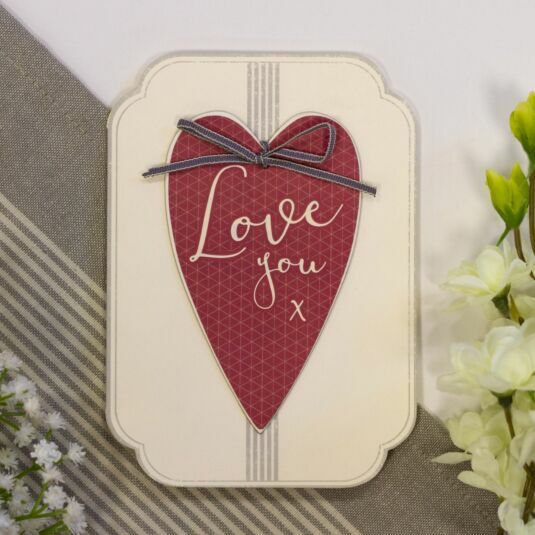 Convey your emotions in the most beautiful of ways with this heart detailed card from East Of India, offering a mixture of rustic, art-deco design with added 3D detailing. Let someone know that they’re loved, no matter the occasion, recipient or meaning, and do so in a heart-warming and hugely meaningful manner with this card. 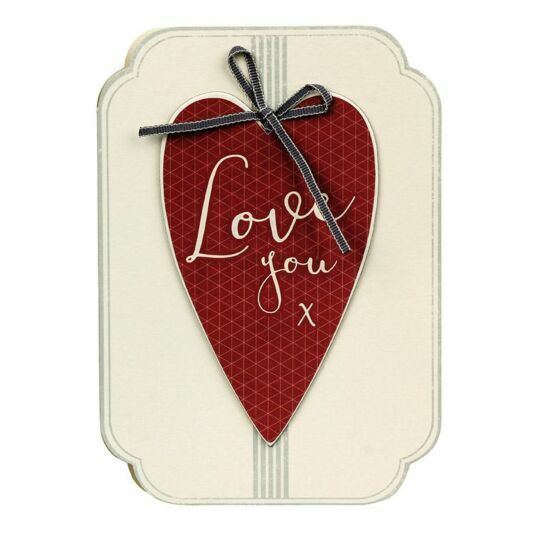 Cut into the shape of an art-deco inspired frame, a large red coloured heart is found on the front, attached with a blue piece of ribbon in a bow and the words ‘Love You’ printed in a calligraphic white font. Further rustic teal detailing is found in the bordering of the cards edges on both front and back. This card is blank inside for your own personalisation, and comes complete with a cream coloured envelope for sending.